Are your appeal letters, thank you letters, and newsletter articles laced with terms like at-risk youth, underserved communities, leverage, and impactful? If you think your donors understand you when you use jargon like this, think again. It’s easy enough to use these terms around the office. I think people use jargon because it’s an insider language, and it makes them feel like they’re “in the know” in their professional world. But the danger comes when jargon creeps outside of your insular community and into your donor communication. 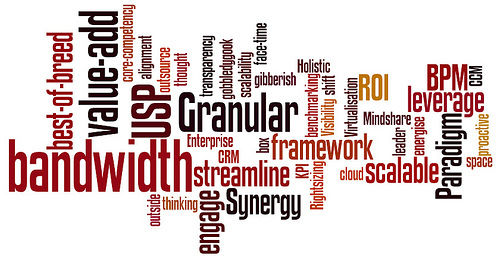 Not all the words in the above links are jargon. Some are awkward or pompous words and phrases that you should also avoid. Sometimes you need to give a little more information. For example instead of just using the term food insecurity, describe a situation where a single mother has to choose between buying groceries and paying the electric bill. Let’s look at a few more of these problem terms and what you can say instead. You may use some of these terms internally and they might be in your mission statement, but try to limit them when you communicate with donors. Underserved means not receiving adequate help or services. Instead of saying we work with underserved communities, explain what types of services the residents don’t receive. Maybe it’s healthcare, affordable housing, or decent preschool. Tell a story or give a specific example. Tammy isn’t able send her daughter Emma to a good preschool because there isn’t an affordable one nearby. Impact means having an effect on someone or something. How are you doing that, and why is it important? Again, give a specific example. Thanks to donors like you, we’ve helped families find affordable housing so they don’t have to live in a shelter, a motel, or their car. Now they have a place to call home. And, let’s all agree never to use the word impactful. What would Aunt Edith Think? Imagine you’re at Thanksgiving dinner and you’re explaining what your organization does to Aunt Edith. Does she look confused and uninterested when you spew out words like underserved and at-risk? Imagine your donors doing the same thing. Be conversational when you write and create a jargon-free zone. I’d love to hear examples of jargon that makes you cringe. ← Are You on the Road to Improvement?